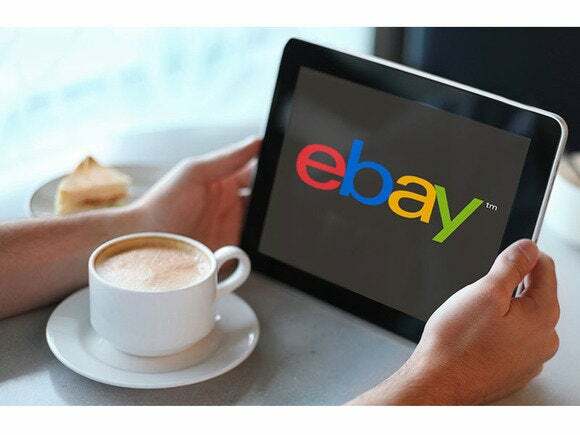 A security researcher who found a major vulnerability in eBay’s website last week said a second flaw he found hasn’t been fixed and could be used to hijack user accounts. Jordan Lee Jones, a 19-year-old college student who lives in Stockton-on-Tees, U.K, said he notified eBay on Friday by email of the second vulnerability. It hadn’t been fixed as of Monday, so he decided to publish details of it on his blog. “Ebay should be on top of their stuff,” he said in an instant message conversation late Monday. EBay officials couldn’t be reached in the U.S. due to the long holiday weekend. Jones and several other security researchers have been taking a close look at eBay’s network since the company disclosed a data breach last Thursday. The company said attackers gained log-in credentials for a small number of employees in late February and early March. They eventually stole customer names, encrypted passwords, email addresses, physical addresses, phone numbers and birth dates. Since it disclosed the breach, eBay has been criticized for not alerting customers more clearly and waiting for days to send a mass email advising customers to change their passwords. The second vulnerability Jones found is a cross-site scripting (XSS) flaw, where code from another source is executed within a website. He said the flaw could be used to grab cookies from logged-in eBay users who visit a page that has been injected with the attack code. The cookie would be emailed to the attacker, Jones said. 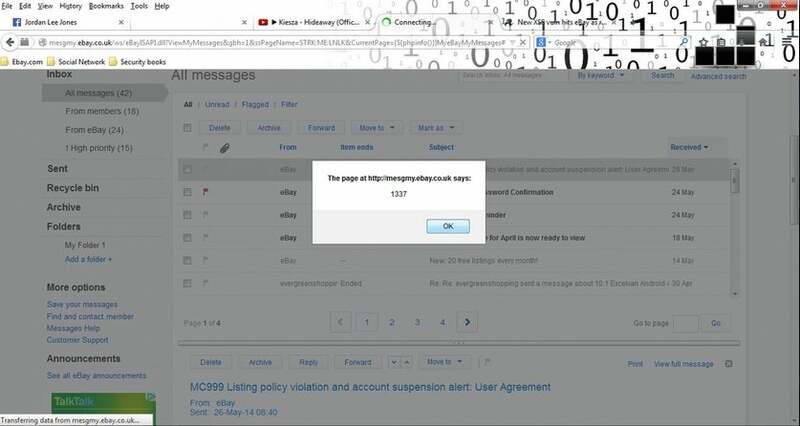 A U.K. based security researcher, Jordan Lee Jones, showed how eBay is vulnerable to a cross-site scripting attack that could potentially be used to hijack user accounts. A cookie is a small data file stored in a Web browser that remembers certain data, such as if a person has already logged into the website. Cookies can be cleared from a Web browser or expire, but if a valid cookie is obtained by a hacker, it could potentially be used to gain access to a person’s account. The XSS attack code could also be injected into an auction listing page, Jones said, and its payload would affect whomever visits the particular listing. Although companies can appeal to researchers to hold their findings, it’s not illegal for researchers to disclose a vulnerability, and many do. EBay made defensive changes to its website after Jones showed he could upload shell code to its network. The first vulnerability Jones found allowed him to upload shellcode to eBay’s network, which would have allowed him to deface part of the website or download the backend database. EBay took measures to defend against the vulnerability. EBay thanked Jones for the finding and said it would add his name to a list of security researchers who have assisted the company, according to correspondence he shared with IDG News Service.